UPDATED: Wed., July 5, 2017, 8:42 a.m.
BOISE – You might have thought it was just July, but officially, in Idaho, it’s also Idaho Spirits Month. That’s spirits, as in vodka, rum, gin and brandy. Craft distillers in Idaho last year formed the Idaho Distillers Association to showcase their products and craft. While it’s relatively small compared with the craft distilling industry in neighboring states Washington, Oregon and Montana, the new association already has nine members. Wyatt’s signature product is vodka made from a famous Idaho product – potatoes. The distillery also uses Brundage winter wheat. Idaho distillers can offer tours of their distilleries, and if they’re also licensed bars, they can sell their wares by the drink. But in most cases, they can’t sell them by the bottle. 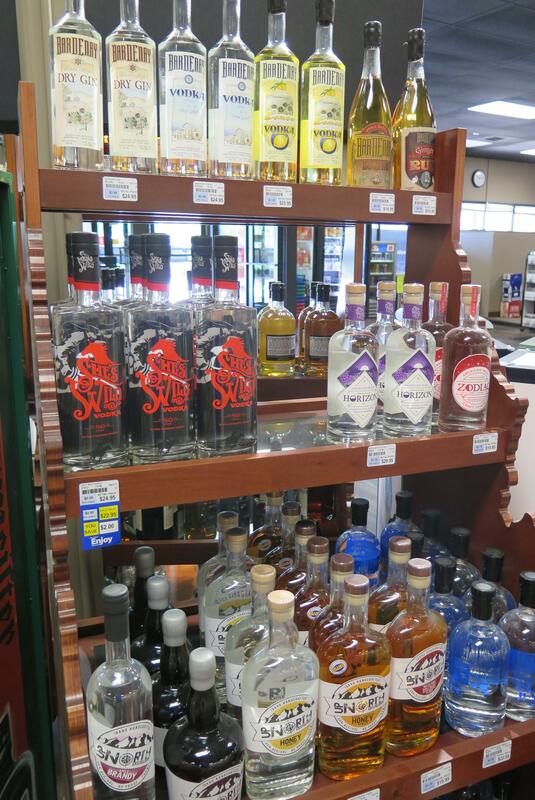 Under Idaho’s state liquor laws, bottled spirits are available only at state liquor stores. So during July, state liquor stores will feature special displays of Idaho-made craft spirits. And the distilleries themselves will hold special events including tasting room and promotional events in bars and restaurants around the state. That’s possible in part because a special Idaho law that passed in 2014 made it legal for Idaho distillers of spirits to have tasting rooms at their distilleries, but only under certain conditions: Each sample can’t exceed a quarter of an ounce; only those age 21 or older can sample, only three samples per person may be given in a 24-hour period, and – it’s right there in the law – the samples must be free. Four of the nine association members have entered into special agreements with the state Liquor Division to become official state “distillery distributing stations,” a designation just created in 2015, that allows them to sell bottles of the product they make at their distillery - but they first have to send it to the state Liquor Division and then get it back with the appropriate stamps. The other members of the Idaho association are Bardenay, with three restaurant-distillery locations around the state including one in Coeur d’Alene; Up North Distillery, with cocktails, tours, tastings and bottle sales in Post Falls; Corson Distillers in Boise; Distilled Resources Inc. in Ketchum; Koenig Distillery and Winery in Caldwell (bottle sales); and Warfield Distillery & Brewery in Ketchum, which also has bottle sales. Published: July 4, 2017, 5 a.m. Updated: July 5, 2017, 8:42 a.m.